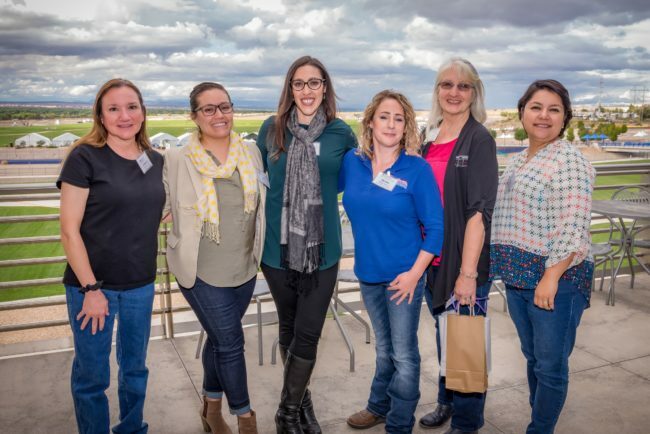 JBH celebrated its Women in Construction with the Associated General Contractors- NM Building Branch at their 1st Annual Women in Construction event held 9.28.17 at Albuquerque’s Balloon Museum. Corporate EH&S Manager Barb Spitz was a panelist and former JBH Vice-President Maria Guy emceed the event which boasted over 130 women in attendance. Pictured below (L to R) Pipefitter Foreman Jaynette Foutz, Project Coordinator Liana Garcia, Corporate Support Manager Melissa Gomez, Architectural Estimator Megan Stokes, EH&S Manager Barb Spitz, and Project Manager Sonia Lopez.